By Shaun Sutner. Providers and big vendors are wary, but healthcare in the cloud and the benefits artificial intelligence provides will spur a shift from on-premises systems for analyzing EHRs. It looks more and more like no one can stop the forward march of cloud in healthcare and the benefits that artificial intelligence and machine learning can bring to big data analytics and image analysis. Not Epic Systems Corp. and Cerner Corp., the duopolistic goliath legacy vendors of electronic health records that have been strikingly slow to develop cloud technology. And not the big healthcare systems and academic medical centers that have spent billions of dollars over the last decade installing soon-to-be-antiquated on-premises systems from Epic and Cerner. Dozens of vendors are providing fully realized SaaS EHRs. Until recently, these cloud products typically only had enough features for outpatient and small physician practices, but vendors are quickly scaling them up to handle larger hospitals and health systems. So even in the face of challenges, the advantages of cloud for healthcare are legion and too compelling to overlook — even for conservative-minded healthcare CIOs and their bosses, who have long been reluctant to relinquish control of what they consider proprietary health data. For providers and insurance payers, the benefits of cloud for healthcare are overall lower costs, scalability, interoperability and cybersecurity. Providers are quickly tiring of maintaining clunky, expensive servers in dusty hospital data center basements. Public and private clouds, some brimming with health data, have largely been secure. The Department of Defense uses cloud technology from Amazon Web Services to safeguard classified information; that should be enough assurance for any healthcare provider. The ultimate user-friendly and security-aware cloud provider, Google, is now in the healthcare business, too. Meantime, providers are quickly tiring of maintaining clunky, expensive servers in dusty hospital data center basements. And healthcare consumers are loudly demanding the same levels of convenience and choice in obtaining their health data and treatment as they enjoy from the biggest online retailers and financial services companies. 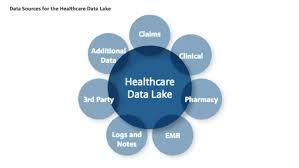 The cloud for healthcare can give that kind of accessibility to them. Epic and Cerner possess some cloud capabilities, namely in EHR hosting and population health, but that’s a fraction of their overall business. They’re sticking with mostly on-premises software, for now, not only because it’s so expensive to retool, but also because pivoting toward pure cloud systems would entail a massive paradigm shift for their blue-chip customers. Even so, when buying new software, most healthcare providers are circumventing the big vendors and going cloud for AI and machine learning, precision medicine, analytics, population health, storage, health data sharing, patient identity matching and even EHRs. To be sure, myriad challenges await those who are looking to move to the cloud for healthcare. Chief among them, as outlined by TechTarget health IT consultant Reda Chouffani, include unplanned variable costs, shortage of cloud talent, disaster recovery and the perils of switching cloud vendors. According to Chouffani, cloud billing can be complex, akin to a confusing mobile phone bill with many, sometimes obscure, charges. Health systems already have a tough time finding informatics professionals; hiring cloud specialists is yet another tough task. When the cloud goes down, for whatever reason, unless your hospital has a disaster recovery or business continuity plan, clinical care could suffer. CIOs need to have a clear exit strategy to deal with the technical challenges and compliance requirements of abandoning one virtualized and cloud storage environment for another.